Mikhail Lotman is an Estonian scholar and politician and son of Yuri Lotman, who was the founder of the Tartu-Moscow Semiotic School and a prominent student of literature and culture. Lotman Jr.’s research interests include general and cultural semiotics, the theory of the text and history of Russian literature. 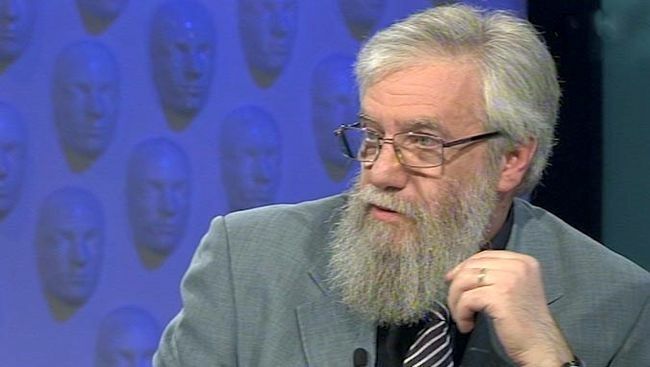 He serves as professor of semiotics and literary studies at Tallinn University and a member of the semiotics research team at the University of Tartu. Lotman was awarded the medal of the Order of the White Star on February 2, 2001. He has recently been active in politics and formerly served as a member of the Riigikogu (Estonian Parliament) on the list of the conservative party Res Publica. The scholar also served as chairman of the Tartu City Council and is a councilor currently. Our conversation took place at the University of Tartu. Was your choice of profession determined by your family history? How did your father influence you in that regard? How far were you able to advance in that field? What parts of the legacy of Yuri Lotman remain relevant now? The University of Tartu was famous for its semiotic school. How much has it changed by now? What are your research interests, by the way? What author do you like to analyze most of all? What prompted you to enter politics? So, why do you engage in it at all? However, you are still involved in it. Since we have turned to present-day issues, let me ask you: is there the Russian-speaking minority issue in today’s Estonia? As you know, it has become the subject of very unpleasant political games in my country. Do you have any strength left for something other than work?